Uh, guys…why is National Taco Day on a Wednesday and not a TUESDAY? I love a good excuse to eat tacos. Generally, “Taco Tuesday” is enough of an excuse, but I suppose I can make “Taco Wednesday” work…if I have to. Today, I’m sharing a couple of taco-related products that I love plus three tried-and-true recipes that I discovered on Pinterest. If you don’t follow me on Pinterest already, click the logo at the top or bottom of the page to see more of the delicious things I pin. First up, taco seasoning. 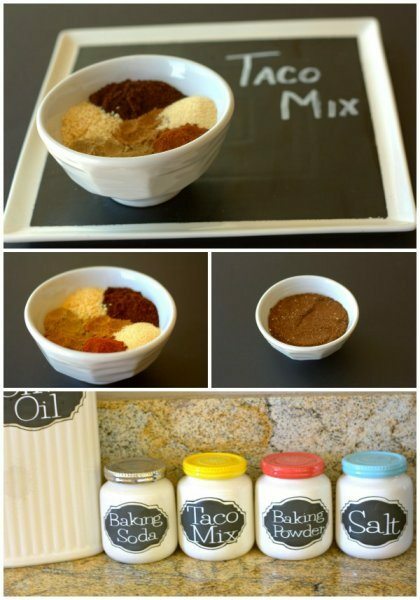 I grew up eating (delicious) ground beef tacos made with packaged seasoning, and although I often make my own seasoning mix (see recipe below), it can be nice to have a ready-made, pre-measured packet on hand. The one I usually use is Simply Organic’s southwest taco seasoning. It does contain maltodextrin, which is a fancy way of saying sugar, but the quantity is small enough that a single serving contains less than 0.5 grams, so it’s not a huge issue. Amazon sells a pack of 12 for $11.74, which is MUCH lower than you’d pay if you bought individual packets in most stores. I usually pay $1.79 if I’m buying just one. Click the image below to purchase on Amazon. 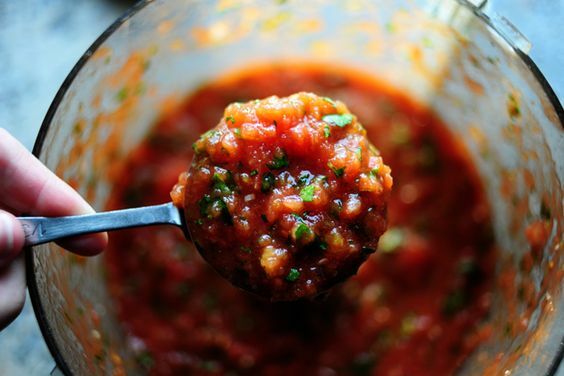 It’s the organic tomatillo roasted yellow chili salsa, and it is awesome. It’s not watery or overly chunky, which makes it a perfect accompaniment for tortilla chips, but I also use it to make tasty shredded chicken in the slow cooker (don’t worry, I’m getting to that). If you click the image, you can order it through Amazon, but if you live near Trader Joe’s, don’t. It’s less than $3 per bottle in store. Ready for a NO-RECIPE RECIPE? For tasty chicken tacos, add 1-2 pounds of boneless/skinless chicken breasts, one 12 oz jar of salsa, and about half a packet of taco seasoning (or a tablespoon of your homemade mix) to a slow cooker. Stir, then turn it on low. When it’s done, shred the chicken with a fork and serve. I often start this in the evening and cook it overnight (about 7 hours) so that I can pack it in my husband’s lunch. It’s good on salad, in burritos, or (obviously) as taco filling. What’s your favorite taco-related recipe? Tell me about it in the comments. FTC: Life is Sweet Enough is a participant in the Amazon Services LLC Associates Program, an affiliate advertising program designed to provide a means for us to earn fees by linking to Amazon.com and affiliated sites. I do not own the recipe-related images or the YouTube video. All of them are property of their respective owners.